Sling TV has been promising an app for Amazon's Fire TV since last month, and now it's arrived with some big sign-up incentives. 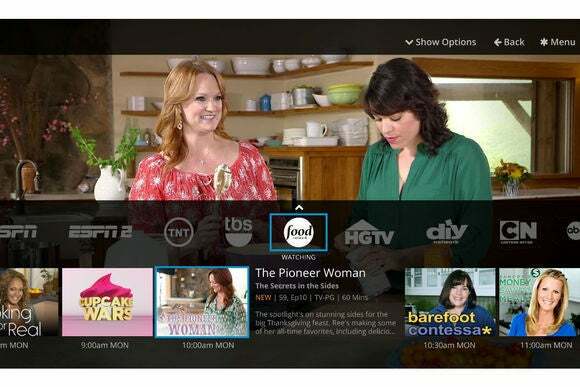 The official Fire TV release comes just a few days after Sling started blocking sideloaded versions of the app on the Fire TV and on Android television dongles. Android users will still have to run an older version, though Sling is working on an official release for Android TV devices such as Google's Nexus Player. Sling TV officially launched earlier this week. The $20 per month service includes 12 live channels including ESPN, AMC, and CNN, along with optional $5 channel bundle packages around themes like “News & Info” and “Sports.” It's available on phones, tablets, computers and set-top boxes. If the Amazon offer is putting you over the edge but you can't decide between the full-sized and stick-sized Fire TV, the differences mainly come down to remote control quality and gaming capabilities. Our Fire TV Stick review has more details, but either one should be good enough for watching Sling TV. Why this matters: Though we've got some nitpicks with the service, Sling TV is a compelling alternative to cable, especially if you don't want to rely solely on over-the-air broadcasts for live programming. With the Fire TV deal, you're basically getting three months of Sling TV service for the price of one, so it's a fine time to jump in if you don't already own the hardware. Update: Just a reminder that you can also get $50 off a Roku 3 or a free Roku Streaming Stick with three months of prepaid Sling TV service.